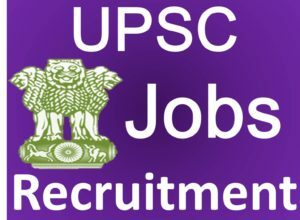 Dear student’s good news for all of you that UPSC is accepting online application form for various Sarkari Naukri position in the department Government of India / Union Territories Ministries and some other department which you can check on the form. Last date to apply is 13/10/2016. You have to deposit Rs. 25/- in cash or online format. No charges for SC/ST/PH/Women applicants. Candidates who are interested to apply in any of above post can check http://upsconline.nic.in/ora/VacancyNoticePub.php on or prior to 13/10/2016 for advt. no. 17/2016. How to get more details and what is the procedure?